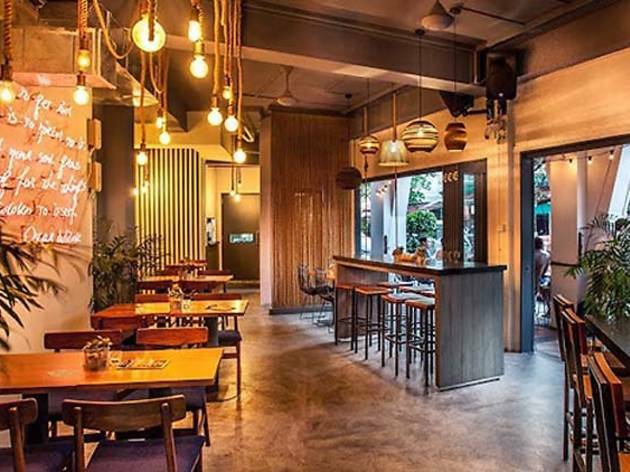 From the Parisian owners of Gemmil Lane French bistrot Ô Batignolles, this new open air creperie and cocktail bar is a celebration of all things French. 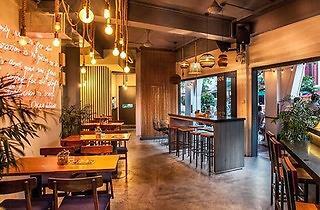 Located in a prime corner unit (formerly occupied by Shelter and Archipelago Brewery) along Circular Road, the all-day drinks and dining space features both classic French buckwheat crepes, as well as Asian-inspired pancake concoctions like the Kao San Road ($20), which features pan-fried prawns, soya mango chutney and mint, the Vietnam Calling ($15) topped with beef, onions, peanuts, carrots and coriander, alongside traditional dessert creations like the salted caramel sauce Normandy Landing ($8). Putting as much effort into the drinks, wine-loving owners Antoine and Marie Rouland specially import from indie suppliers from France (from $10 a glass, $46 a bottle), and offer spirits and cocktails ($13-$22) to sip along with late night DJ sets.